This class comes with a full kit, a t-shirt, handouts, a certificate, and refreshments. This is a demo class where you will be able to ask questions and watch the License Brow Stylist who has 5+ years of experience perform services on models. 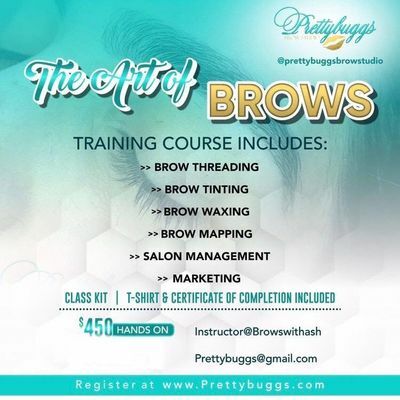 We will be covering The Art of Brows which includes threading, learning the jaw clinching technique, waxing, proper way to trim brows, mapping brows, brow tint, marketing tips, and a lifetime of support is avaliable, also if you are in the Houston area you are welcome to come by the salon and shadow us for a day after completing training. The total for demo classes is $350 and its a deposit of $150 is required to hold your seat. We do offer one on one classes as well for $450 and they are completely hands on with you to working on models. The balance is paid in cash the day of class. 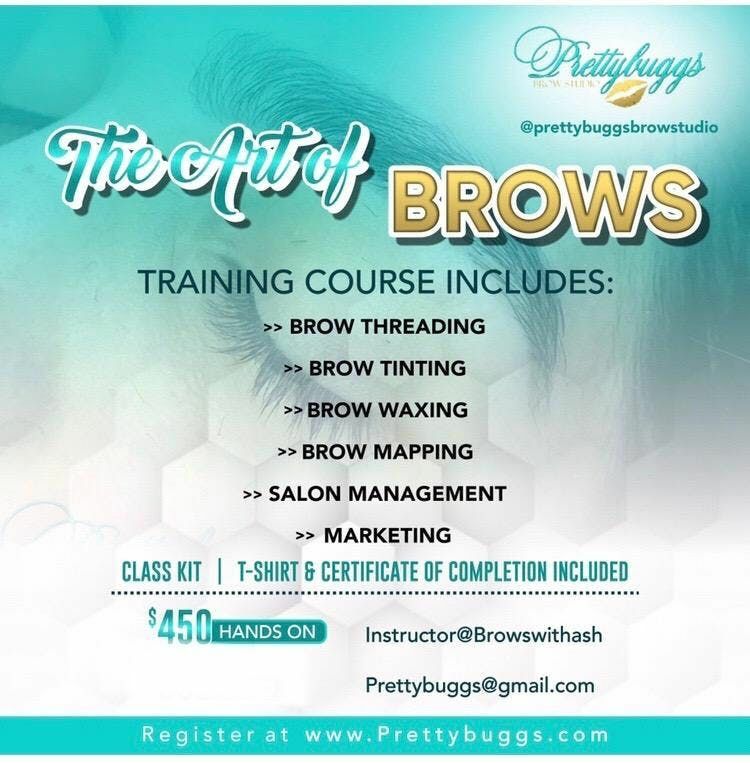 If you have anymore questions please contact us and follow us on Instragram for updates @Prettybuggsbrowstudio.